Holding animals captive is widely accepted in our society. 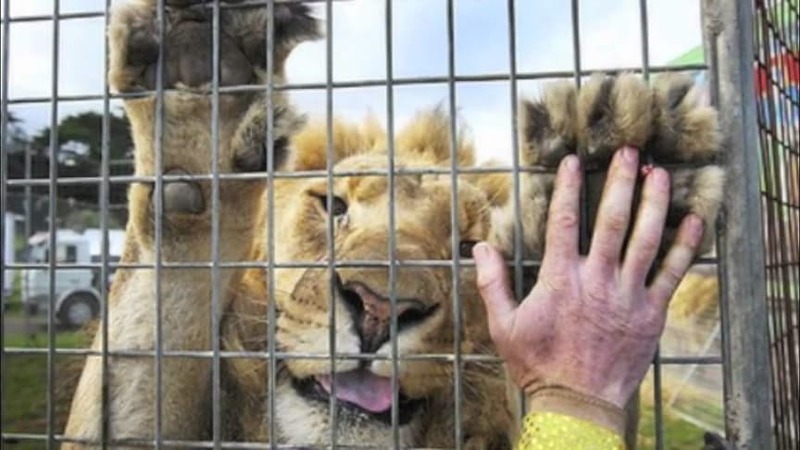 Everyone owns pets and people also visit zoos. Animals are treated well but if they are not then the owners are punished. Unfortunately things are worse in many circuses. 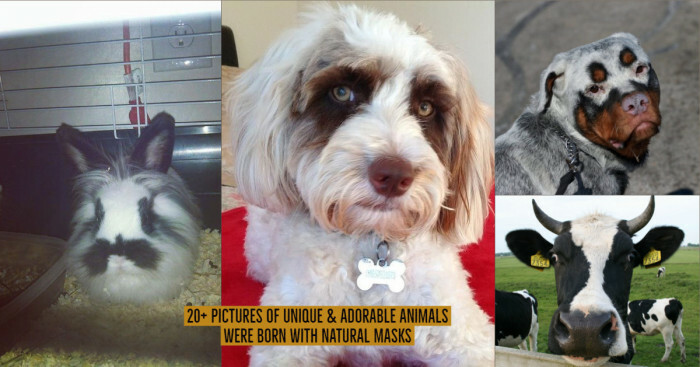 They treat animals as slaves and adopt any means to train them for facilitating your entertainment. Pets mean to have a friend and part of the family. Many treat them well or even better than their own family members. Zoos are made for seeing those wild animals that we have no chance to see otherwise while in circus their purpose is to strictly entertain the crowd. The owners and operators claim to organize it for educational purpose but where animals are tortured to perform there isn’t much learning. They claim that this happens rarely but the truth is it happens daily. Here are the most heart breaking situations that occur behind the fun of circus animals. This monkey endures a great deal of pain and fear for our entertainment. He is chained to the neck of the goat. Who is in the right mind when they want to keep themselves entertained in this manner? Monkeys are innocent. 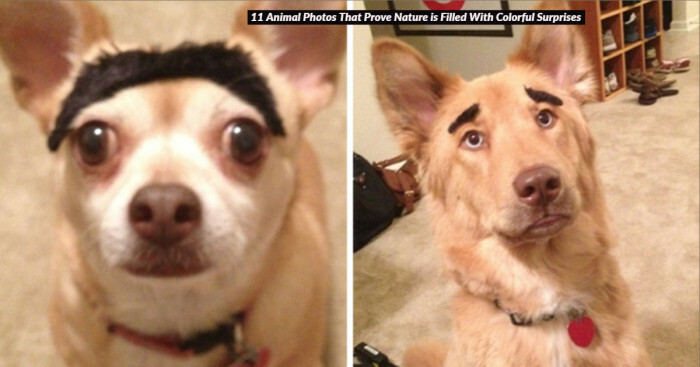 Though they inhibit certain human characteristics, they are not capable to comprehend the human tricks. The goat is also facing the torture. There is a great risk for both. They may attack each other. But the only evil ones responsible for this act are the trainers and also those who enjoy watching such acts. For controlling a beast as large as an elephant, it is important to exert a lot of force since they don’t give in very easily. A lot of training and trouble makes them surrender to their trainers. Trucks drive their families apart. They are ripped off from their makers at a very early age. They are trapped and get beaten by the circus trainers. 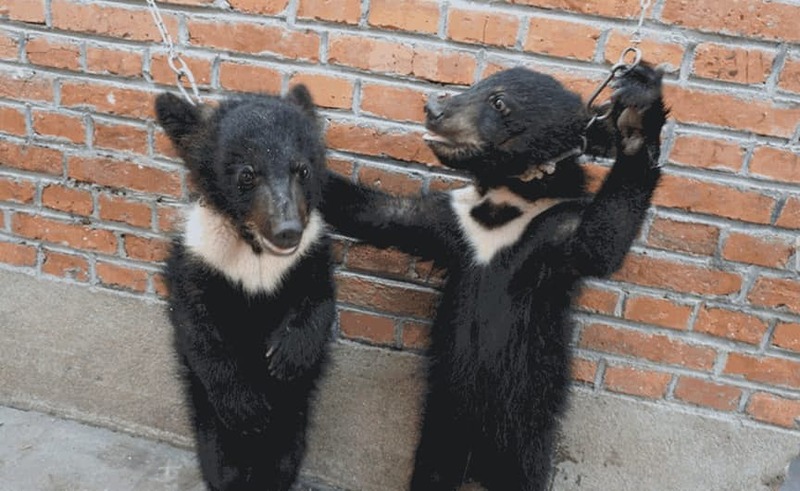 Their limbs are tied and the torture is made until they are broken. It breaks their spirits making them loyal to their trainers. It’s very hard to control adult elephants so most of them whom you can find in circuses have been doing this for their entire life. His isn’t the same monkey but the motive and methods of all trainers is same. 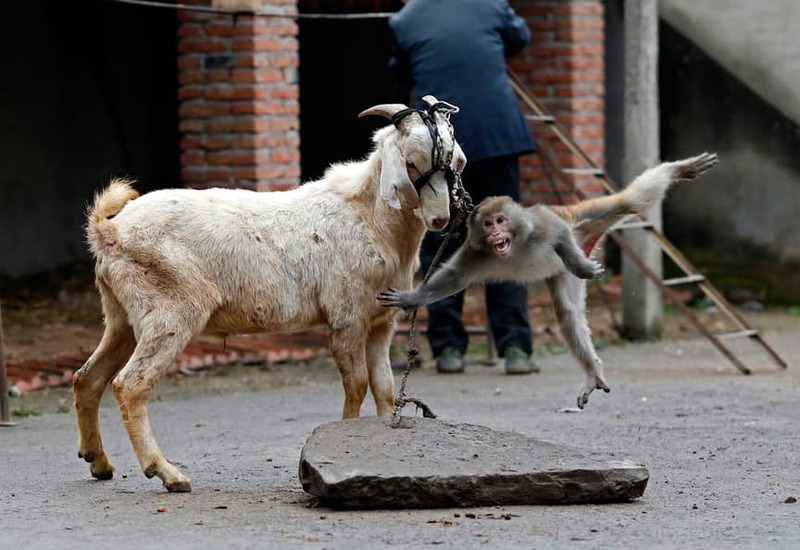 Instead of teaching bicycle ride to the monkey, he is forced to learn to walk on stilts. For preventing him from falling, the only support that is given is the chain in trainer’s hand that is tied to his neck. This is really heartbreaking. Monkeys are the closest animals to humans and seeing such behavior with the innocent one is very painful. Even when the monkey learns to walk on stilts, he would never remember the pain caused to him. Lions and tigers are the king of jungle but not in circus. Often the cages are sized only so much that the animal can fit into it. There is no room to turn around. This is very harmful for lions. They desire to pace back and forth when they are anxious and they get frantic when they can’t do this. It feels like living in a panic attack. Such big cats chew the bars of their cages till their teeth get dull and tiny. 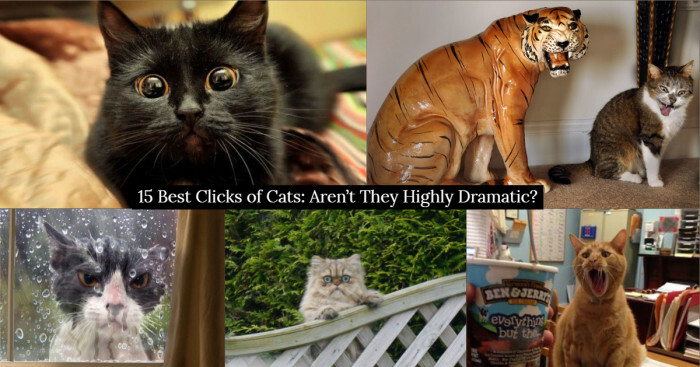 Cats like remain secluded so such environment makes them vulnerable. 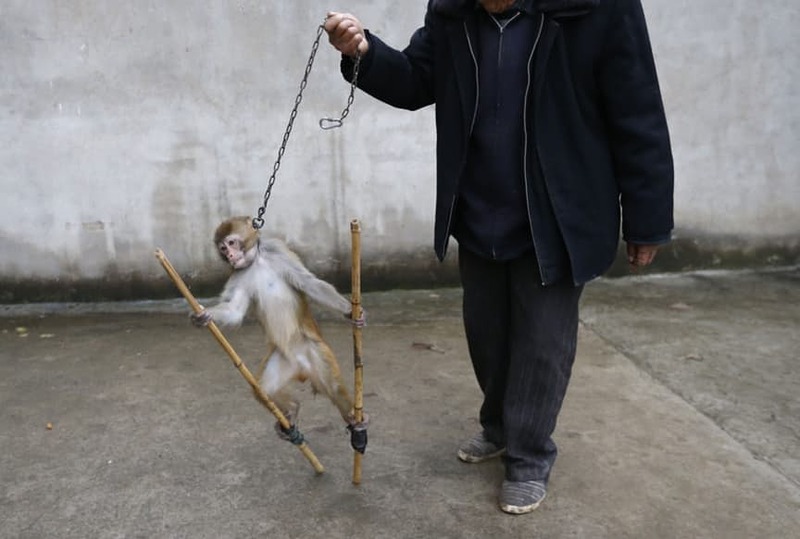 Some circuses in China use extremely brutal methods to train animals. These bears are taught to walk up right. They are pulled along the poles by their neck. But baby bears are easy to train. Trainers chain them by their neck for teaching them to walk on their back legs. If the baby can’t itself up, they risk in choking or hanging themselves. The innocent baby bears go through this process for hours in a day. Walking on hind legs is dangerous for bear’s health. Circus community needs patience and compassion for the bears but unfortunately they lack it. 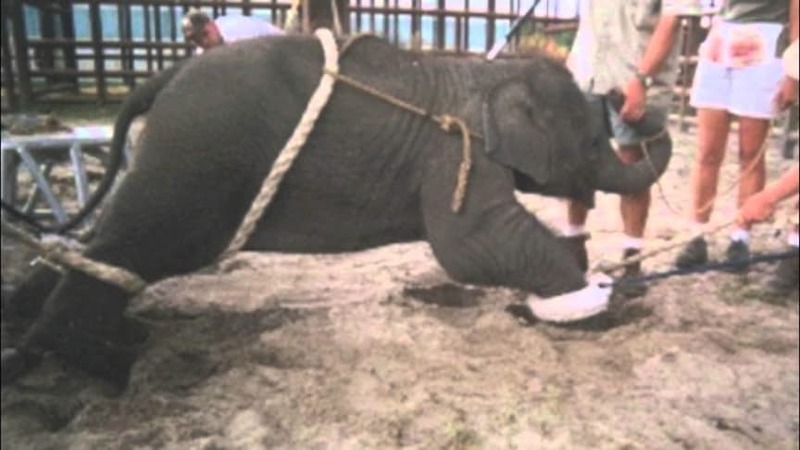 This is one of the saddest stories among circus animals. The picture gives the look of a beast but Cholita is an endangered bear. 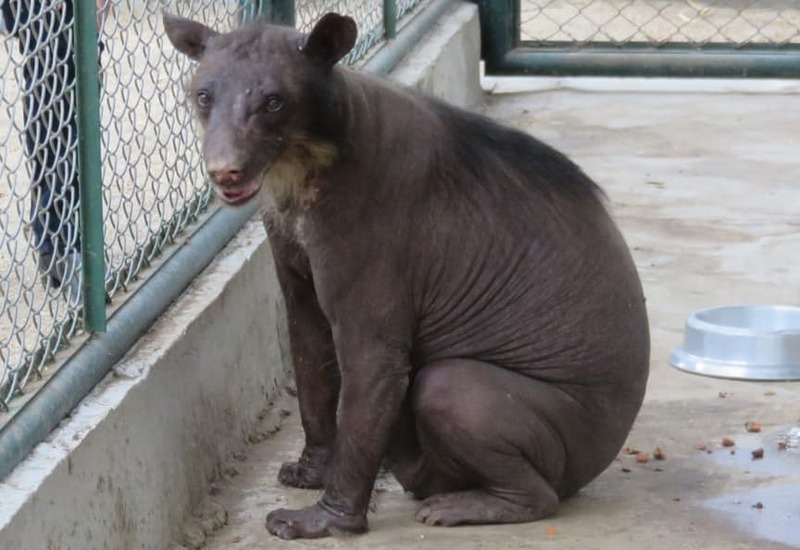 When she was rescued from a circus in Peru, her claws were ripped off from her hands here which makes her a very difficult walk. Her teeth have also been smashed out so that she does not harm the handlers. In these poor living conditions and stressed environment, she lost all her hair. Once a beautiful endangered animal has now turned to be an abuse victim.